I’m so excited to share this review with you! I’ve been wanting to try out this face mask for several months now especially the pink one. 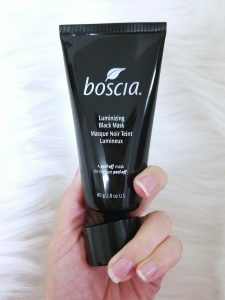 So, I am super excited because I finally am getting able to try and review the Boscia Black Charcoal mask. 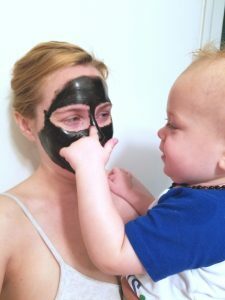 I love face masks and have been using them a lot more recently since giving birth to my son. They just make me feel so refreshed after having a long night with him. They also make my skin feel and look renewed. I’ve mainly been using the wash off kind, but I love the peel masks because of all the stuff they pull from your skin. It’s especially fun to start peeling it and I have a hard time waiting for it to dry. I started with a clean dry face. To apply, I just squeezed a little of the mask onto my finger at a time and started applying. It went on without any problems. There is little to no scent with it, so I didn’t feel overwhelmed by smell while I applied or had it on. I do love the way some masks smell, so this was a slight disappointment. 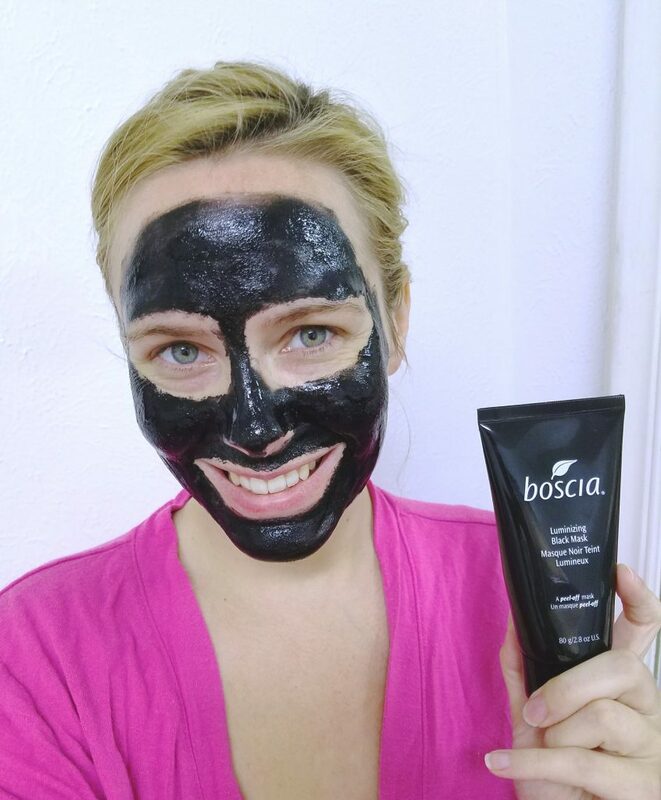 However, it didn’t affect my overall love of the Boscia Black Charcoal mask. I made sure to stay clear of my under eye area and any skin too sensitive that it would be painful to pull the mask away from. I made sure that I applied a good thick mask. You do not want peel away masks too thin or they are more painful to remove and don’t work as well. I did feel like it took a good bit of time for the Boscia Black Charcoal mask to dry. I just took a bath and played with my son while I waited. It wasn’t inconvenient, but I planned for it to take time. I’d say overall it took 30-45 minutes to dry completely. Just make sure when you do it, you allow adequate drying time. The same thing goes for Making it too thin, if you don’t let it dry adequately then it doesn’t remove properly. This is the fun part! I thought that it was going to be extremely painful and tedious to peel it off. That has been my experience with other peel off face masks, and the look in peoples’ eyes when you see the video of them removing it. However, that was definitely not the case for me. I think it was because of the two pointers I included earlier: keeping it away from the sensitive skin around my eyes and making sure I applied a thick enough layer. It came off pretty easily and with little to no pain. I am very impressed! 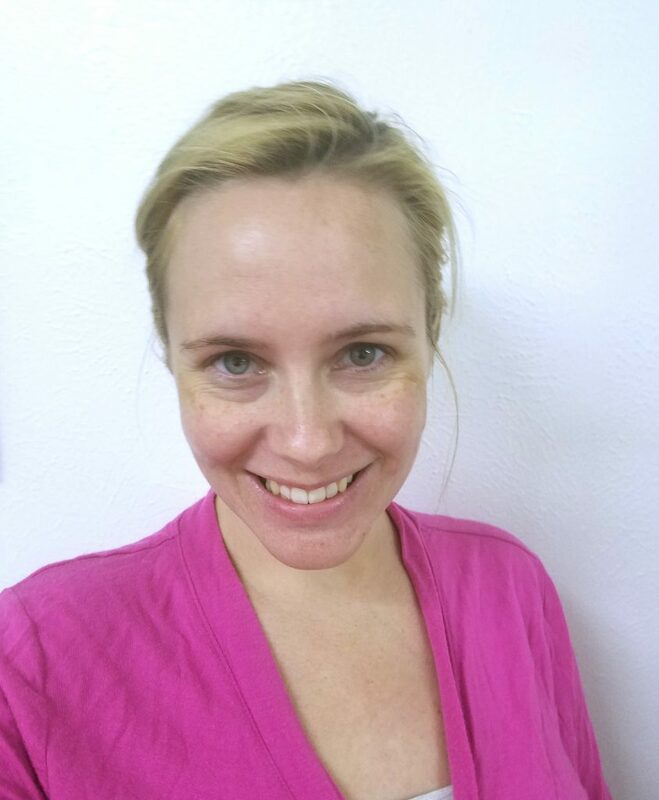 I felt like my skin instantly looked more luminous too! I haven’t been drinking the amount of water I should, but after this mask, you would never be able to tell that. I keep catching glimpses of myself in the mirror and just love how my skin looks. 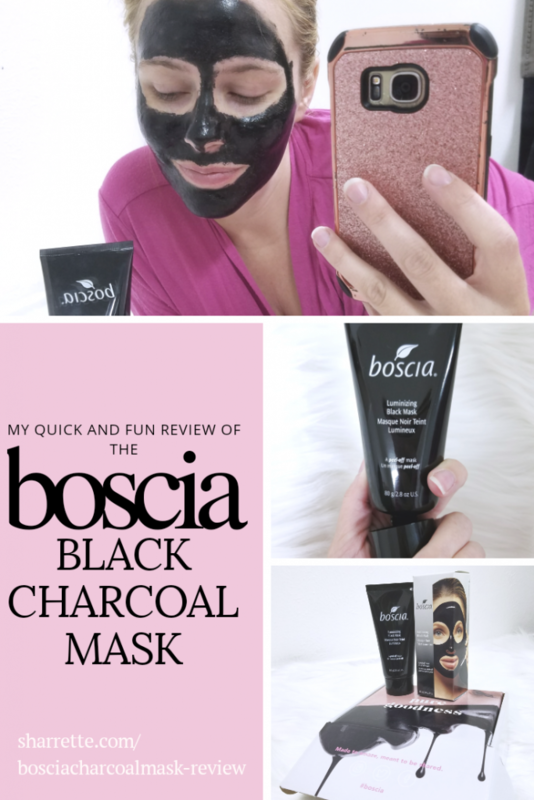 I definitely recommend getting some of the Boscia Black Charcoal Mask for yourself. You won’t regret it. I now have on my list to get the pink one, too! Let me know if you try it out and what you think of it either here in the comments or on my social media pages. Side note, this past Friday I thought I was getting a sore throat. I looked at my tongue and it was almost completely coated white. So, I dipped my toothbrush into some Apple Cider Vinegar and brushed my tongue. I did it several times, rinsing in-between, and my throat is no longer scratchy and white. The stuff is pure gold! 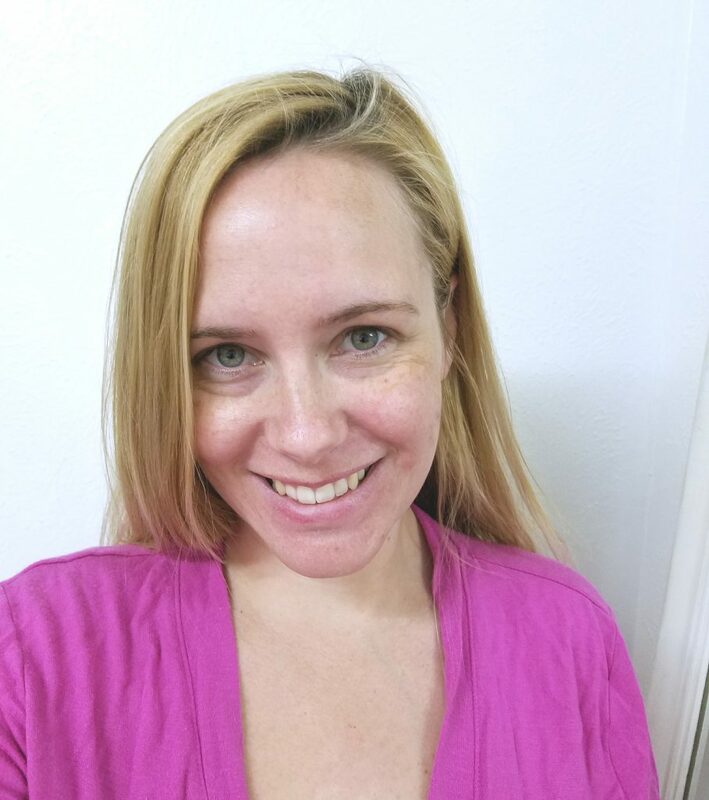 You can read more about why what I love Apple Cider Vinegar here on my two favorite natural beauty hacks blog post. Please note that I received this product complimentary from Influenster for testing purposes. All opinions expressed in this blog post are my own and not that of anyone else or the company. I did not get paid for writing this besides receiving the product for free.